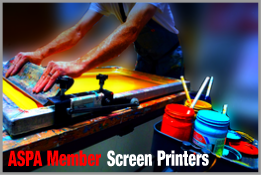 Show You're a Qualified Screen Printer. the 1000th person in our program. Get certified today. Exam fee is $49. 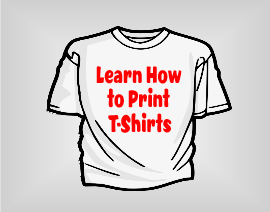 Learn How to Print T-Shirts. Online Training Course. Only $99! Printing T-Shirts is a great way to make money. We show you how! All you need is a computer and internet access. No printing equipment is necessary. Learn in 30 days or less. Diploma in Screen Printing is included. 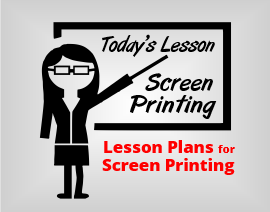 Teach Screen Printing the Easy Way! ASPA Screen Printing Lesson Plans. step instructions make it so easy. Plans $149. 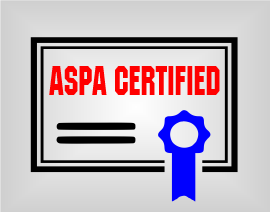 "Being ASPA certified has helped me improve and become the production manager for the company I work for. Useful news for printers. Free Stuff! How to Build an Exposure Unit. Should I Start a Printing Business? What's the Best Exposure Unit Light?